When I grew up with the creek as my playground there was only a handful of families that called Murrells Inlet home. Collecting fiddler crabs to sell to the few fishermen that fished off the old government pier, crabbing and fishing with the neighborhood kids and watching the Capt. Alex and other boats unload their catches at the end of the day provided much joy and entertainment back in the day. Our small population has grown into a thriving community welcoming new familes and vistors alike to appreciate and enjoy our slice of a creekside town but beneath the beauty of Murrells Inlet lies troubled waters that must be protected. 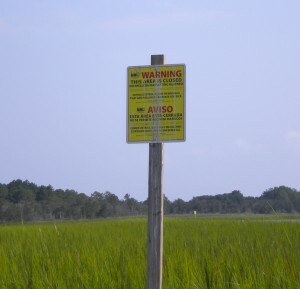 Today Horry County Officials will be presented with a resolution to adopt a Watershed Management Plan to help protect the creeks of Murrells Inlet that are in danger due to high bacteria levels and in doing so will become part of this vital project that will pave the way for a healthier Murrells Inlet Watershed for our future. Georgetown County will also follow suit and with the help of all community stakeholders a plan will be formulated to identify the cause of high bacteria levels in Murrells Inlet and the steps we need to take to ensure the levels decrease for years to come. Community input and involvement is essential to not only creating but following this critical mission and in leading the effort Murrells Inlet 2020 needs to hear from you. When the Murrells Inlet Watershed Management Plan is completed it will serve as a guide to help reduce high bacteria levels in our waters the ultimate responsibility lies with us all as we must be mindful of how each of us affects the land that surrounds the watershed since we are after all the reason our creeks are in danger. Contact MI2020 Executive Director Sue Sledz @843-357-2007 for more information. Copyright©2012 Sandra Bundy, Broker-in-Charge, B&P, Inc. Serving the Pee Dee and Grand Strand of South Carolina. How you can help ~ Click here to report potential pollution sources in the Murrells Inlet Watershed.